New Item - Coming Soon! The JVC GY-HM250SP UHD 4K Camcorder with FHD Live Streaming is a full-featured pro camcorder that enables a single operator to add lower thirds and titles while recording in HD or streaming—no external character generator or switcher is required. It features a 1/2.3" sensor and captures UHD 4K video at 24/30p, and 4:2:2 4K at 24/30p. This versatile camera offers you the option of recording UHD 4K at rates up to 150 Mb/s to SDXC Class 3 cards, or up to 70 Mb/s to SDXC/SDHC Class 10 cards. In HD mode, the GY-HM250SP can display score overlays for sports such as football, baseball, basketball, hockey, soccer, and volleyball. Score overlays may be placed in various screen positions, and a camera operator can update the score via Wi-Fi using a smartphone or tablet. The GY-HM250SP is also compatible via Wi-Fi with a scoreboard-integrated Sportzcast Scorebot. The GY-HM250SP's integrated IP engine enables you to stream Full HD in the field directly from the camcorder, and offers remote camera control and monitoring from your mobile device or laptop. Compatible with RTMP, Zixi, and Wowza streaming, the GY-HM250SP offers one-click zeroconf configuration when using a common LAN between cameras. In HD mode, custom graphics can be created and controlled via a browser-controlled tablet or smartphone. The GY-HM250SP also comes with pre-installed color schemes and the ability to upload icons or logos to add a personalized look to your footage. An integrated 12x zoom lens with a tele-macro function provides a 35mm equivalent focal range of 29.6 to 355mm, and a 24x dynamic zoom mode is available when recording in HD. For composing and monitoring video, the camcorder features a 3.5" LCD, a 0.24" viewfinder, and a smart focus assist function. Additional features include dual SDHC/SDXC card slots, two internal ND filters, and a built-in stereo microphone. 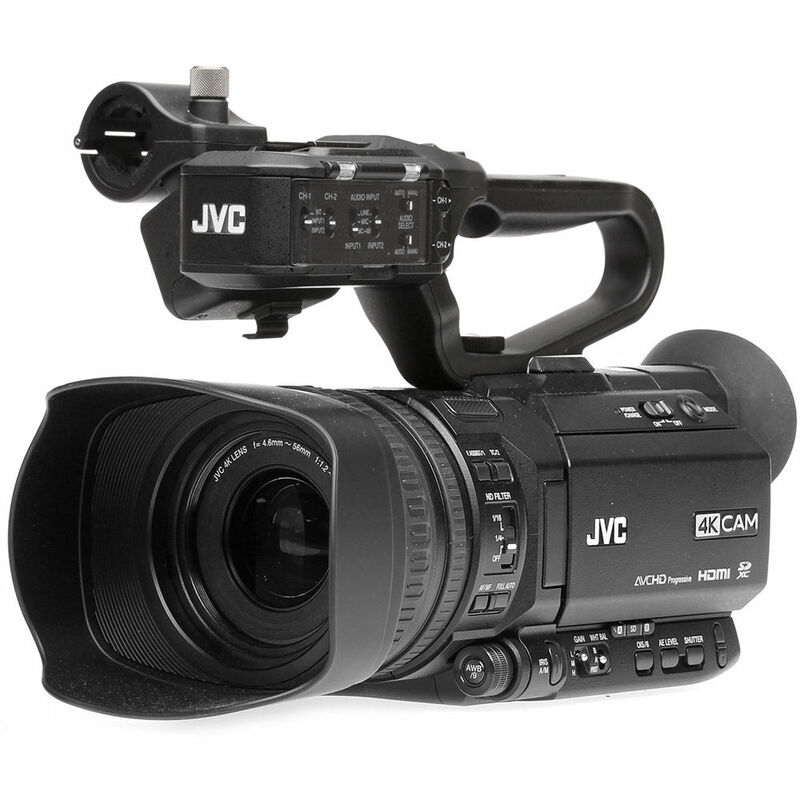 Designed to fit into professional workflows, the JVC GY-HM250SP camcorder comes with 3G-SDI and HDMI outputs and dual XLR audio inputs. A top handle unit with the integrated audio box, a 7.4 VDC battery, and an AC adapter are included with the camera.